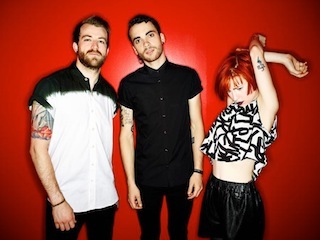 Paramore were forced to cancel their show last night (August 4th) in Corpus Christi, Texas due to illness. The band reported via their Twitter account yesterday they had to pull out of last night's stop of the MOUNEMNTOUR due to vocalist Hayley Williams being ill. So sorry Corpus Christi. We tried to make tonight's show but Hayley is just too ill. We will make it up to you. As it stands, Paramore will perform tonight (August 5th) in Dallas, Texas. Remaining dates and ticket information for the tour can be found here.